StELR (Students Experiencing Life’s Relevance) is a business partnership program where students in grades 10 through 12 collaborate with peers and professionals to learn critical thinking, problem-solving, and effective communication skills in order to develop solutions for existing business challenges. StELR is an extension of the Iowa Quality Center Student TEAMS (Training in Evaluating, Analyzing, and Measuring Systems) program that has provided opportunities for students in the Urbandale Community School District since 2013. 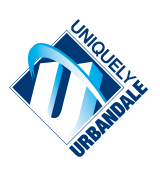 Download the Urbandale StELR tri-fold brochure. By utilizing proven collaboration, leadership, and continual improvement tools and practices, students will build confidence in their abilities to solve real business challenges in order to achieve successful outcomes in any field of study. Businesses achieve greater efficiencies through the implementation of the StELR program as they integrate new approaches for problem solving and fresh perspectives provided by future leaders. for students participating in the StELR program. The Carnegie hours are based on the student’s on-site field experience hours at local businesses. Students in the program may earn up to four college credits by participating their junior and senior years of high school. We welcome the opportunity to meet with you to see if StELR might be a valuable program for your business or organization. We also look forward to meeting with parents to share more about the StELR program and see if your 10th, 11th, or 12th grade student may be interested in participating.